Steven Paulsen's stories have appeared in award-winning anthologies, and have been published around the world. 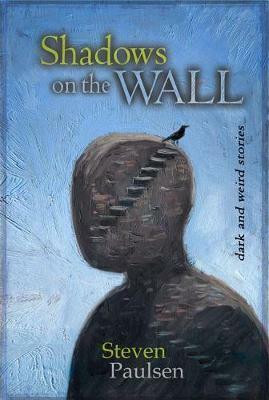 Cover art and frontispiece by Acadamy-award winning artist, Shaun Tan. "No matter the genre, theres a dark undercurrent in Paulsens work, a gleeful malevolence that betrays a deeply nihilistic worldview somehow both addictive and soul-shattering." -- Aaron Sterns, author "Wolf Creek: Origin" & co-writer "Wolf Creek 2" Paulsens body of work, as evidence by this impressive collection, explores the nature of our fears, effortlessly exposing us to shuddering horrors and milder terrors while drawing us in with utterly real characters. - Kaaron Warren, author The Grief Hole"
Steven Paulsen is an award-winning writer whose speculative fiction has appeared in publications around the world. His bestselling dark fantasy children's book, The Stray Cat, illustrated by Hugo and Oscar Award winning artist Shaun Tan, has seen publication in several English and foreign language editions. His short stories, which Jack Dann describes as rocket-fueled with narrative drive, have appeared in a variety of magazines and in anthologies such as Terror Australis, Strange Fruit, Cthulhu: Deep Down Under, Fantastic Worlds, The Cthulhu Cycle, and the World Fantasy Award winning Dreaming Down-Under.